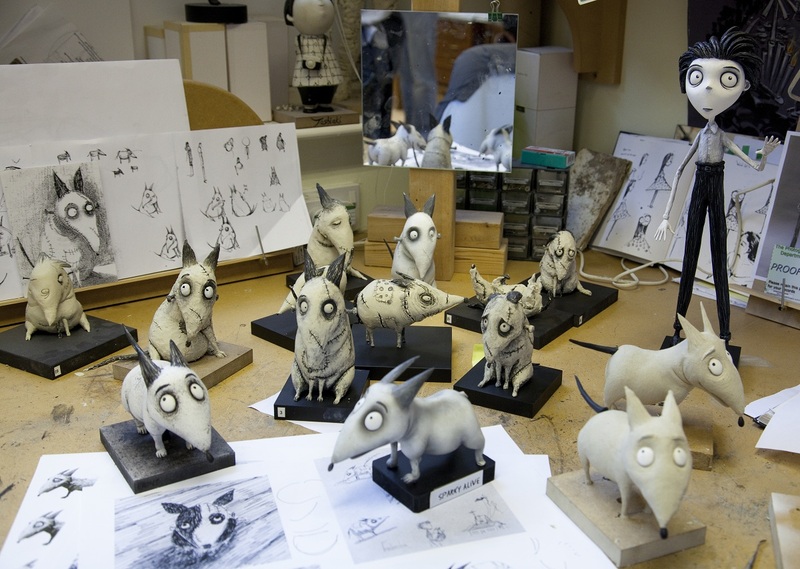 Out of the murky depths of Tim Burton’s dark imagination emerges the masterpiece that is Frankenweenie: a modern tale of man’s ambitious meddling in the hopes of creating life, pushing science to its limits, and wreaking just a little bit of havoc. Burton’s story has the added bonus of being enriched with his own real life experience, with little Sparky representing Burton’s own dog that he loved oh so dearly as a wee nipper. As the story unfolds we are unexpectedly left on the edge of our seats - something that rarely happens in a kid’s animated film - but this is one not to be underestimated. Set in the spooky town of New Holland, we are introduced to young Victor Frankenstein, our protagonist, an athletically inept yet scientifically proficient boy whose social awkwardness endears you towards his character. Sparky the dog is clearly the apple of Victor’s eye, as he demonstrates an almost brother-like bond with him, and thus it is Victor’s heartbreak over Sparky’s tragic death which provides the catalyst for the film’s real adventure. Victor’s inability to accept that Sparky has gone inspires him to take a very literal leaf out of his science teacher’s book, and “reignite the spark” in Sparky. From here on in the tale packs a great deal of punch, with Victor having to live dangerously as the scientist who may have bitten off a little more than he can chew. The unexplained nightly thunderstorms combined with rumours that New Holland was in fact a town built on a graveyard leave viewers eagerly anticipating a series of frights - and these are exactly what the film delivers! 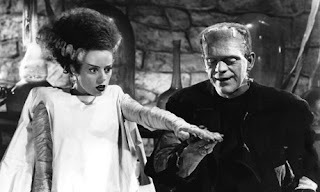 The plot is rather straightforward; it may have been more fulfilling if Burton had explored a sub-plot or two, possibly playing on the puppy love between Victor and his neighbour/classmate, Elsa Van Helsing. However the diverse and quirky characters just about manage to compensate for the visible simplicity of the story. Each character has a distinct personality and purpose, which makes for a vivid and believable cast. While some characters are used as vehicles for humour through their mischievous antics, others supply the film with that typical weird ‘Burton-esque’ vibe which reminds you that he is a man obsessed with the more… creepy things in life. The real genius of the film is its exploration of issues which are hugely appealing not only to children but to adults – or in fact to anyone who has ever had and loved a pet. Burton is able to skilfully cross the typical boundaries of a kid’s film and venture into the more mature themes of death, loss and grief, which he addresses in a way children will understand without patronising older viewers. The ultimate message Burton delivers is this: you must stick to what you believe, and only if you believe will your wish truly come into fruition. Burton’s decision to make the film black and white in a world which lives and breathes colour is one viewers may have some trouble adjusting to. 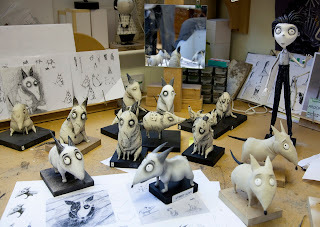 However Frankenweenie is available in both 3-D and IMAX formats, so this may provide some compensation for the monochrome look chosen by Burton. Additionally the continuous shades of grey makes Frankenweenie appear all the more gothic by oxymoronically enhancing the overall eeriness of the film. Characters remain colourful without having to necessarily be in colour, with Burton’s scarier monsters being particularly gruesome. And the comic relief in the film is brilliant; jokes are timed well and the children whom Victor goes to school with are quite hilarious. This is a film with real bite. Not only bite but chew and whole-hearted swallow. 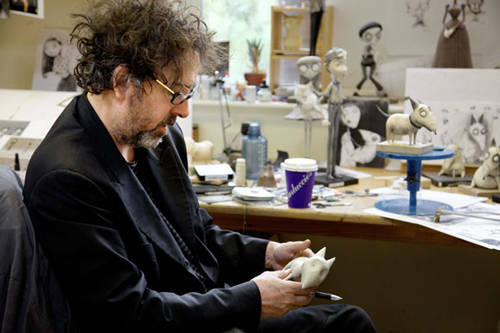 Frankenweenie proves itself as one of the greatest animated films of recent times, and Burton cleverly shows us that the themes explored in the two-century old ‘Frankenstein’ are still relevant to the society of today.